Over the years I have spent more than $15,000 in software, training, marketing strategies, services, and tools. Some were worthwhile while others…not so much. 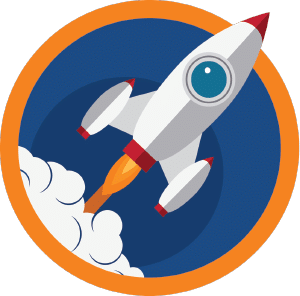 So, I figured it would be beneficial if I provided a list of exactly what didn’t make the cut and what tools or services I still use today to take my Kindle publishing to the next level. Sort of like, learn from my mistakes and my successes…because there are a lot of self-publishing tools and training that are NOT worth it…and there are some that are. I will add more to it as I try new things so make sure to check it out periodically. I also recommend bookmarking it for your reference and convenience. Disclosure: Please understand that many links on this page are affiliate links, and at no additional cost to you, I will earn a commission if you decide to purchase one of the products below. Please understand that everything below was chosen because I have used it myself and find them beneficial to the Kindle Publishing cause. But make sure you make your own judgment before purchasing. Like it or not, Kindle Keyword and Category selection are some of the most important parts to publishing your book. Simple choices and tweaks can result in hundreds of additional visitors, which equates to more sales. The following tools are exactly what I use to make sure my books are optimized for success. This is an easy to use software that only costs a one time fee of $97 and helps authors validate their book ideas by giving them profitable kindle niches and keywords to target. It works on both Mac and PC and will help you by telling you how much money other books are making, how many people type that phrase into Amazon per month (which is huge), and how competitive it is. 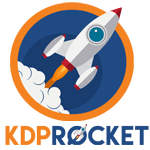 To learn more about how to use KDP Rocket to target great keywords check out my article on Kindle Keyword Mastery. As we all know, reviews play an important part in book sales. They help with your rankings and they improve your conversion rates. They act as a legitimizer and they even help to convince people your book is worth buying. However, as we all know, sitting around and waiting never does the trick. That’s why I love these two tools. 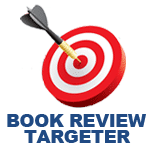 My favorite tool in helping me to find good book reviewers legally. Tell it which book to search and it will go through all Amazon reviewers that left a review for that book and pull their email address (if they allow it to be public which is about 5-10%). With a couple clicks of a button, you could have a list of favorable reviewers at your disposal. See how I use it in this article on reviews. Formatting is one of the most undervalued aspects to self-publishing. Many first time bootstrappers will just take their word document and crank it through the Amazon mobi generator. In many cases, this will suffice, but if you start including pictures or other technical goodies, then you need something more. I learned this lesson when I published a book that required pictures. The below are formatting tools and services that I absolutely love! 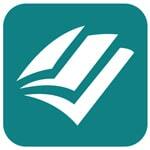 Created solely for the purpose of formatting ALL ebook versions, this program is worth every penny. It will unlock some amazing tricks that even the best of HTML’ers wouldn’t know how to do. Plus its super easy to learn. Check this out and you’ll see it in action. 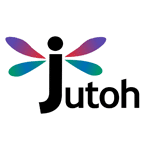 I’m sure you’ll love it – then you can switch back here and buy Jutoh with confidence. If you are looking to have a professional format your book then look no further than Ebook Launch. Since 2011, they have helped thousands of authors. They come highly recommended by the major players in indie publishing. Check out their affordable prices and quick turnaround times. Microsoft word is cool…but not exactly great for authors. Check out how you can improve your writing with author-specific tools that make a difference. Scrivener is a must for any serious writer. 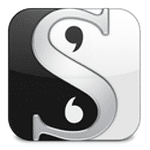 Sure you can write a book using Microsoft Word, however, Scrivener was designed by authors for authors. It has multiple features that help to boost productivity AND help you to organize/layout your book. Check out my complete review on Scrivener and my side-by-side comparison of Word vs Scrivener. Also, if you act now, you can get a 20% scrivener discount as well. Get my favorite Editing Software that not only checks your spelling and grammar, but will teach you how to write better by giving your better recommendations and reports. You can learn more from my full review here. This mobile cloud service is not only free, but a necessary security mechanism for your hard work. 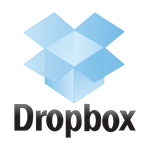 Life throws crazy punches at our computers and when it does, if you don’t have your work stored on a mobile cloud like dropbox, you could lose all of your hard work. Did I mention it is free for your first 5 GB. This is usually sufficient for authors, but for me, I store my websites, their backups, my photos….basically my entire business. Fiction, or nonfiction, it doesn’t matter. Email is every savvy author’s lifeblood and connection to their fans. My all-time favorite email service, and yes, I have tried them all. Always at the forefront of adapting with the times, Get Response is user-friendly, reliable, and cheap. 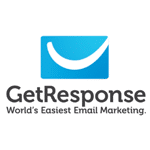 Find out exactly how GeResponse compares to Aweber, and Mailchimp. You’ll clearly see why its the best in this article. There are many paid optin plugins on the market, but this one seems to be my favorite. Highly customizable, it affords me many liberties in programing and overall design. 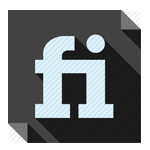 Furthermore, it has A/B Testing which is crucial in ensuring your optin process is effective and efficient. 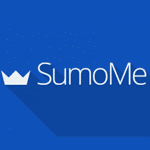 For those of your not willing to pay for an optin plugin, SumoMe is an excellent option. Although it doesn’t offer A/B testing, it is STILL incredible. Make sure to spend some time and learn about all of the free tools they have at your disposal. Creating your own website is a crucial part to establishing an author platform. But first, you need a service that will ‘hold’ your website and all of its’ data. However, out of all of the web hosting reviews I've done, SiteGround is by far the best in both Customer Service and reliability. A while ago, I made a survey on an author Facebook group asking what their favorite web hosting company was. 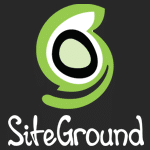 Unanimously, SiteGround was #1. The comments from users talked about the reliability and the amazing customer service. Out of all the others, SiteGround was the only one where people were generally happy. So, I gave them a try and I completely agree - I now only use them for all of my author websites. I HIGHLY recommmend SiteGround. Let’s face it, everyone judges a book by its cover. So, no matter how amazing your content is, if your book cover is sub-par, your sales will be the same. But, who wants to break the piggy bank? Well, here are the tools I have used in order to create my best selling book covers. 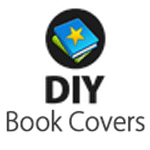 But before you contact any book cover service or find software, I definitely recommend you check out my full article on book cover design mastery. It will help you figure out how to work with designers and get the most out of your book cover for less. Derek Murphy is one of the best in book cover designs. So, when he created an online software and top-notch training on how to really make DIY book covers, I paid attention, and it paid off. If you are looking to have a professional design your book cover then look no further than Ebook Launch. Since 2011, their award-winning book cover designs have helped authors take their book to the next level. Check out their portfolio and affordable prices. Fiverr is not ideal for making professional covers but then again, many of us can’t afford top-notch designers or software. So, if you are going to use Fiverr, then I highly recommend you read my article which was featured on Entrepreneur.com on how to get more out of a Fiverr gig for your ebook cover.